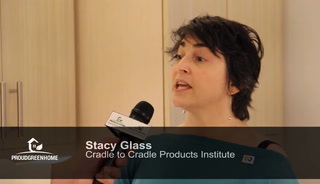 Architects, builders, and consumers can look for building and household products that have met certifications for lifecycle and material health from the Cradle to Cradle Products Innovation Institute. During the holidays take some steps to tackle potential problems coming out in the bathroom before calling a plumber. The building enclosure or envelope consists of many components that must work together. The components include controls for thermal, air, water, and vapor barriers for heat, air and moisture management. This white paper takes a look at the importance of weather resistive barriers and how it manages moisture in a building's envelope. Many builders in high-wind zone areas are now building to higher standards to help their customers withstand natural disasters. This white paper looks at one such standard, the FORTIFIED Homes program, and how builders are achieving the certification. Everyone knows that solar and wind are renewable energy sources. But there's another renewable resource that's often overlooked: geothermal heating and cooling. This guide provides a general overview of geothermal technology and it’s applications in high performance homes. ProudGreenHome.com connects manufacturers to an audience of home professionals and homeowners through effective online services. This white paper tackles some of the myths surrounding bottled water. Once you know the real story, bottled water simply doesn't add up. I was recently interviewed by MoonworksHome as part of their Expert Interview program. 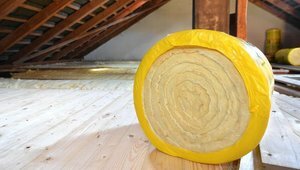 Every home – new or existing – can increase its energy efficiency with the installation of a blanket of continuous exterior insulation over the walls and studs, thus reducing thermal bridging. This white paper identifies thermal bridging and why continuous insulation is the best way to address it. More and more homebuyers are looking for homes that perform well, in addition to providing a comfortable, engaging place to live. And homebuilders are rising to meet the demand. Green builders are incorporating energy, water and resource efficiency, improved indoor air quality and sustainable and locally sourced products into their projects. In Portland, Oregon, where the January temperatures average 36 degrees, many homeowners are adopting geothermal heating and cooling for their homes. When a homeowners is considering a high performance heating and cooling system for a new or existing home, they turn to an experienced geothermal system design and installation company. Ductless mini splits are gaining in popularity for both new homes and remodeling existing homes. Mini splits – a form of heat pump – provide new levels of energy efficiency for homes. This white paper identifies the benefits that homeowners and building professionals will find when making mini splits a part of a project.